So you’ve decided to explore the final frontier, our 49th state, the land of bear and moose and Sarah Palin. Congratulations! A great land awaits you in Alaska. 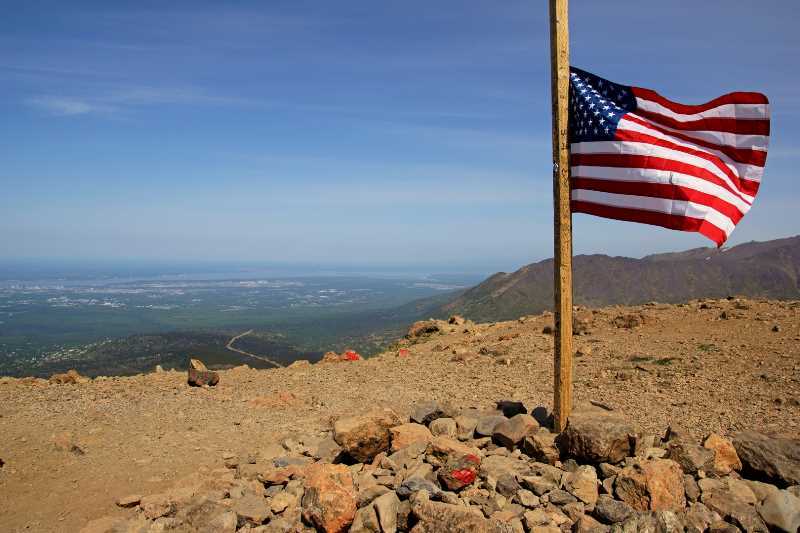 For me, this was also my 49th state, and it took nearly four decades of living to make it up there. In the process, I learned quite a bit, and had a few surprises along the way. This page will help you know what to expect and how to prepare for your great northern adventure. This should be obvious to most people, but I’ll say it anyway. You’ll be visiting the United States. Alaska has been part of the union since 1959. You can’t see Russia from your motel room, but Alaska did used to be part of Russia, and you’ll still notice some Russian influences in places. While I knew that Alaska was part of the U.S., somehow I expected it to feel more like Canada. I’ve visited the Canadian Rockies a couple of times, and even though Canada doesn’t feel drastically different than the U.S., you’re still very aware that you’re in a foreign land. I guess I thought that, with Alaska being so remote, and all those Canadians in between us, Alaska may have a more foreign feel. The truth is, it did not. Everyone is still speaking English (again, I hope that’s obvious), the road signs measure distances in miles, and the temperature is in Fahrenheit. It took some effort on my part to remind myself that, yes indeed, I was in Alaska, and not just some other northwestern state. Alaska is one hour behind California, and four hours behind the east coast. The easiest trick I found to quickly calculating the time was to remember that if the hour in Alaska is an even number, it will also be an even number in Florida. 10 p.m. in my hometown of Tampa is 6 p.m. in Anchorage, 11 p.m. is 7 p.m., and so on. This all depends on the time of year you visit. My visit was in early June, which is still on the edge of the shoulder season for summer tourists. That meant some businesses weren’t open, and there was a chance that some roads might still be snowy. However, my visit in 2015 took place on an unusually dry, sunny year. During the previous winter, the Iditarod sled-dog race had to be re-routed due to a lack of snow. From what I hear, residents put away their snow machines and brought out their atv’s around March. But, your results may vary. Alaska has some very moody weather, and you could end up dealing with a lot of fog and drizzle and cold days. I saw a few of them during my nine-day trip. But, even the rainy days included some breaks in the weather, and even some sunny moments, along with a few stunning sunsets. Sunny days will rarely top 80 degrees, and the evenings will be chilly. If you visit in winter, you could face some bitterly cold days, and travel could be difficult due to snow. Most major roads are kept open year-round. Surprisingly, Alaska doesn’t have a lot of high-mountain passes, which makes it easier to keep things open. What about the Midnight Sun? I knew to expect late sunsets and early sunrises in June, as the earth approached the arrival of spring, and the longest days of the year. What I didn’t expect was all the strange and amazing ways this would affect me and my trip. You won’t see 24 hours of sunshine unless you make your way north of the Arctic Circle. That isn’t easy to do, because there’s only one road that takes you there – the Dalton Highway (of Ice Road Truckers fame). When you’re slightly south of the Arctic Circle, the sun does indeed set, but during the longest days of the year it never really gets dark. My flight arrived at 2 a.m. in Anchorage at the end of May, and I was worried about finding my way to my accommodation. But that wasn’t a problem, because even at 2 a.m., the sky was in a perpetual twilight. Oh, and here’s one more strange thing. The sun sets and rises in the north, and it sets and rises sideways, just barely dipping below the horizon before coming up again. Keep this in mind as you plan your sunset photos. In winter, you get the opposite. You’ll only have a few hours of daylight, and the sun will never get very high in the sky. This is bad for most outdoor activities (and for anyone with a case of Seasonal Affective Disorder), but it’s great for viewing the Aurora Borealis – the Northern Lights. You probably won’t ever see them in the summer – not because they’re not there, but because the sky never gets completely dark. Most people won’t have this problem, but if your phone uses CDMA technology, you might run into trouble. Most phones use either CDMA or GSM technology. It’s the language your phone uses to communicate with the towers… and one cannot understand the other. CDMA is used by Verizon and Sprint. There are CDMA towers in Alaska, but they aren’t owned by Verizon or Sprint. Instead, the big companies have agreements with the local owners to allow their users to access the towers. I ran into trouble, because I use a Straight Talk phone. In the lower 48, it uses Verizon towers and operates on CDMA technology. Straight Talk has a deal with Verizon… but Verizon doesn’t have towers in Alaska, it has a deal to use the towers in Alaska… and Verizon’s deal doesn’t extend to Straight Talk. In other words, your Verizon phone should work in Alaska, at least to some degree, but your Straight Talk CDMA phone won’t. I had to buy a Straight Talk GSM phone and transfer my service for the duration of the trip. It was an expense I wasn’t expecting, but at least it solved the problem. Aside from this one peculiarity, you should have no problem using your cell phone in Alaska, as far as I know. Calling home should be the same as roaming anywhere else in the U.S. Cell coverage throughout Alaska seems to be exactly what you’d expect for a rural area. You’ll have significant periods with no coverage as you drive long distances, but you should be connected in cities and towns. 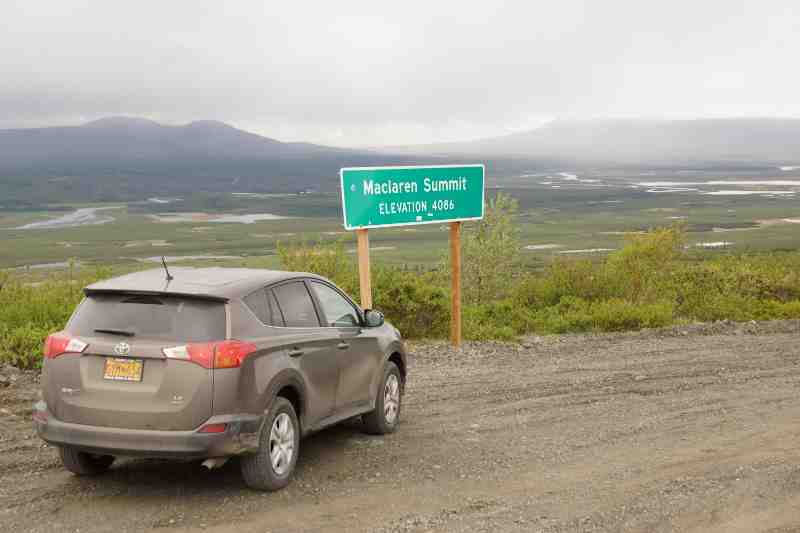 One reason I didn’t visit Alaska for many years was the rental car situation. Renting any kind of car during the tourist season is astronomically expensive (brace yourself for rates of $60 or more per day, for an economy car). If you’re planning on flying to Alaska and road-tripping, you’d be wise to check rental car rates before you book your flight. Fortunately, my trip was at the very edge of the tourist season, when rates were starting to climb, but hadn’t hit the stratosphere. I think I paid about $350 for a mid-sized car for about 9 days. That’s a bit steeper than I’d pay in Las Vegas or some other notoriously cheap airports, but still quite reasonable for Alaska. You should also give some thought to renting an SUV. 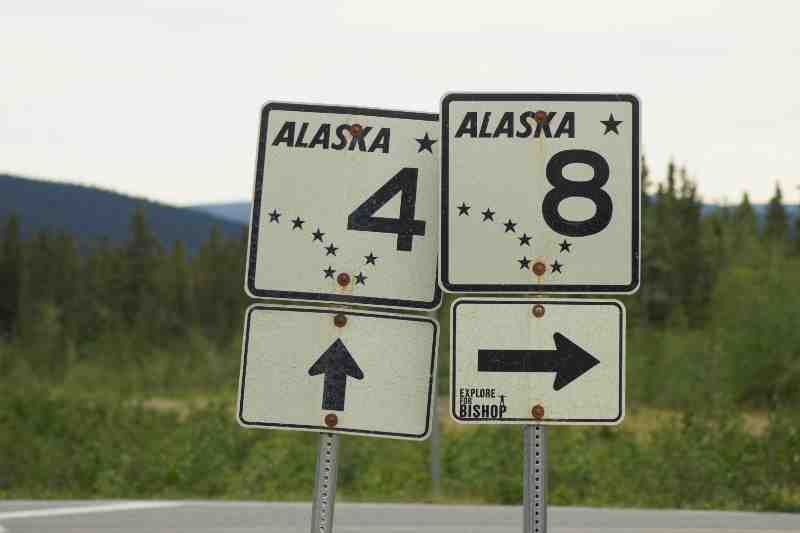 Alaska’s paved roads are somewhat limited, but you can hit the major cities without going off-road. 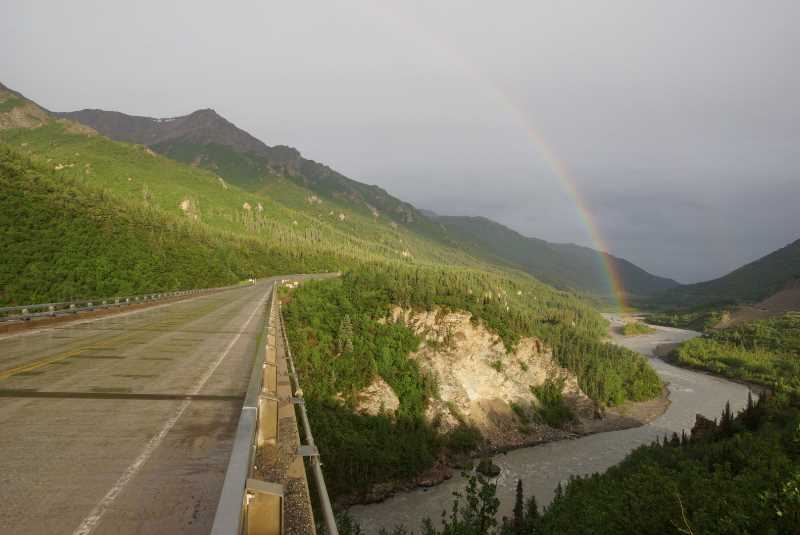 However, there are some dirt roads that are worth exploring, such as the Denali Highway (Alaska Route 8, which cuts across the center of the big loop made by the Parks/Richardson/Glenn highways). 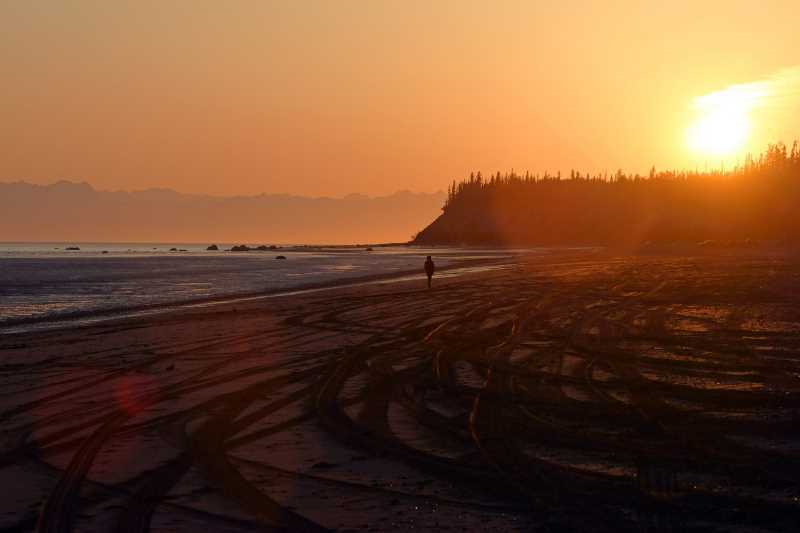 On your first visit to Alaska, you’ll probably be okay to stick with the paved roads, but on your second trip, you’ll be itching to tackle some of these rougher spots. 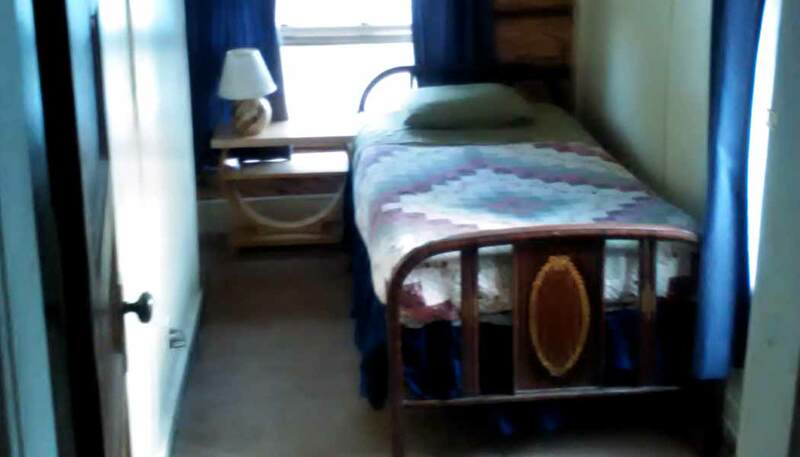 Motel rooms aren’t cheap, and many areas do not offer luxury. Budget a minimum of $100 dollars a night during the tourist season, and don’t be shocked if you’re forced to spend more, even for a single-star motel. Demand is high, supply is low, and you usually don’t have the option of driving to the next town, because the next town is probably 50 or 100 miles away. I managed to get all of my motel rooms for less than $100, but it took a great deal of research and luck. I didn’t stay in any place that was truly a dump, but one place was an authentic roadhouse with shared bathrooms and sloping floors (my tiny room is pictured above). Another was a motel built out of prefabricated parts, similar to a mobile home. One more thing – most motels (even good ones) will not have air conditioning. It just isn’t needed up there. If you’re visiting on a rare hot day, your room might be stuffy, but it will cool down in the evening. Okay, I think those are the basics! Have fun!